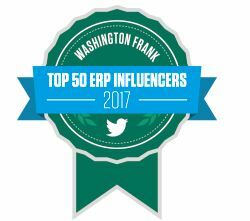 Decisions – Not Documents – Move ERP Implementations Forward | ERP the Right Way! I grew up in a time when information was hard to obtain. Generating information was seen as a valuable exercise because information was a scarce resource. The first software development life cycle (SDLC) I learned was Waterfall. One of the key focus areas for the Waterfall SDLC was documentation (i.e. information). However, there is a limit regarding what value information can provide. In our enthusiasm to create information we sometimes go to an extreme and generate so much information that it becomes a roadblock. What we often forget is that the key purpose of gathering information is to make decisions! There is a direct relationship between the speed of customer decisions and the speed of ERP implementations. The faster a customer can make a decision results in a faster implementation cycle. Naturally, customers want to make right decisions therefore the project team must gather the right information. To gather the right information we first need to understand the key decisions that must be made as part of the ERP implementation. Simply stated, the scope for an ERP implementation consists of the software features that will be deployed (product scope) and the project activities and audience for the deployment (project scope). Once the implementation scope has been defined, the project team can better identify the information requirements. Gathering the required information and presenting that information in the appropriate context will enable the customer to make both software configuration and fit/gap decisions. Once the implementation scope has been clearly defined, the project team should leverage industry best practices to assist the customer in making decisions. Providing these best practices up-front to the customer will streamline the information gathering process. 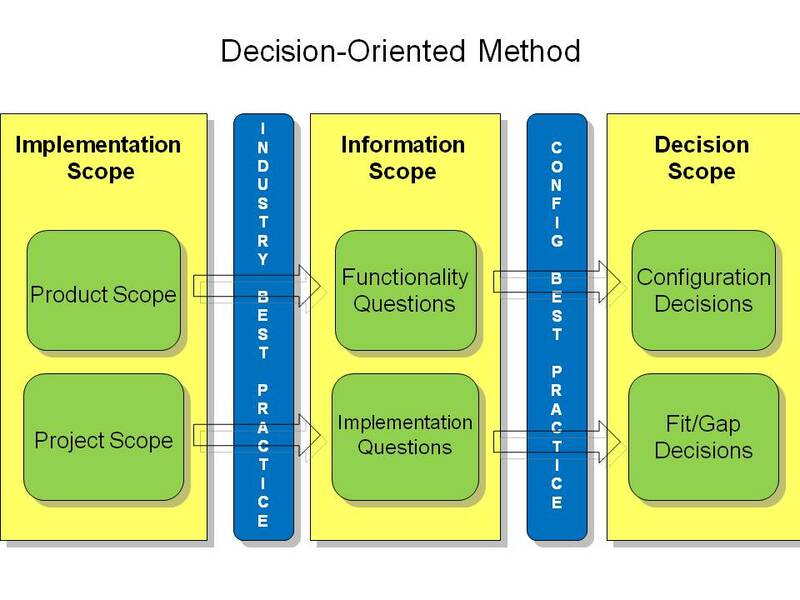 As the project team moves from gathering information to driving decisions on ERP configurations and Fit/Gap, configuration and gap decision best practices can be referenced to provide proven knowledge to key decision makers. Having the right Implementation Partner can have a significant impact on effective information gathering and decision support. An Implementation Partner may not know every single decision that the customer must make as part of their ERP implementation but they should be able to identify up-front the key decisions required based upon the scope. Keeping your options open (i.e. not making decisions) will slow down the implementation project and increase your risk for failure. 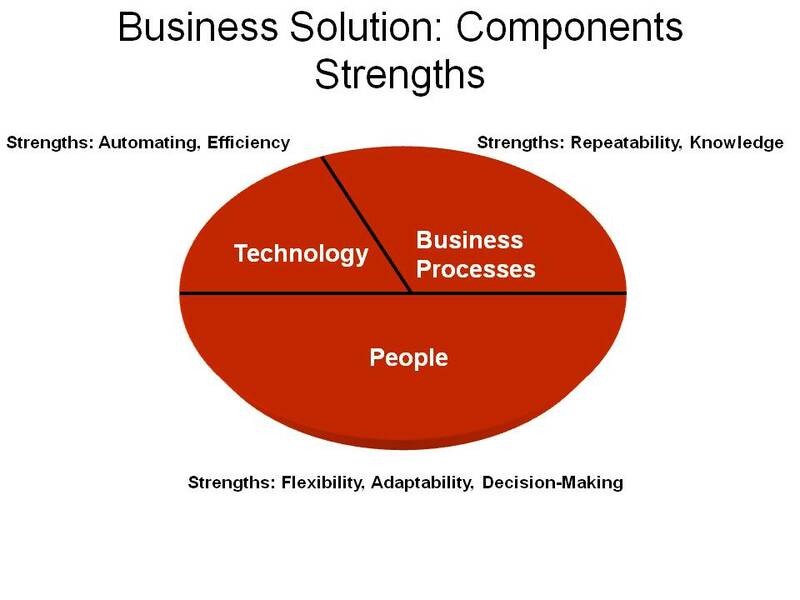 People, not technology, is the most flexible and adaptable component of a business solution. Implementation Partners should be able to provide industry and ERP configuration best practices to their customers. These best practices should be formally documented and provided early in the implementation where they have the greatest benefit. These documents will provide evidence that the Implementation Partner can provide a repeatable and reliable service. As a project manager, I’ve observed where project team members focused more on producing information and focused less on producing decisions. Producing information (i.e. documents) is far easier than driving decision(s). There is a false perception that generating more information will result in more knowledge and enable customers to make better decisions. Nothing is further from the truth. Only when the right information is communicated in the right context then knowledge is created for making informed decisions. What a good written article! This is very worthed to read and also easy to read. I will looking for more such blog article! Hey, do you have facebook or twitter? I recommend it on social bookmarking sites just like as stumble upon! However, thank`s for this article. Hi Clorinda – I am on twitter – gbeaubouef. Thanks for the feedback and kudos! I appreciate it.